Retransfer technology offered by Avansia supports and actually improves a variety of applications: employee badges, secured access cards, student IDs, payment cards, official identification cards, driver’s licenses, and more. Avansia is a fast printer that can issue more than 140 single-sided color cards per hour. The printer supports the delivery of cards in large runs, thanks to its large-capacity feeder and output hopper (250 cards each), as well as consumables from the Evolis High Trust range that are engineered for this type of personalization. 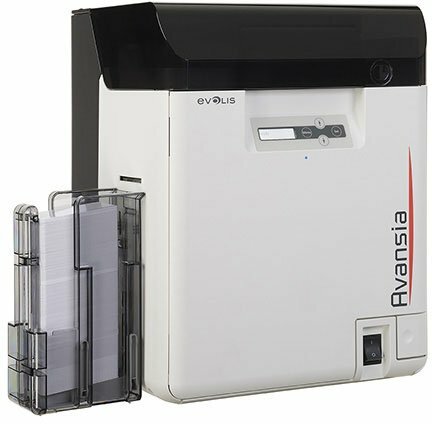 For more information on the new Avansia from Evolis, contact one of our ID Card Specialists at BarcodesInc.